A key priority of this position is to tackle the threats which affect ecosystems, habitats and biodiversity- and to address global challenges such as climate change and international wildlife trade – through science, landscape level interventions, community/government support and species conservation. Key management and administrative responsibilities include providing overall strategic direction, government, donor and international liaison, fundraising, scientific and conservation oversight,WCS representation in country and overseeing all financial and personnel management (>120 staff). The Country Director will report to the Regional Director, East and Southern Africa. 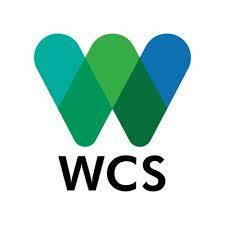 It is a full-time position, based at one of the WCS Tanzania offices on the mainland or in Zanzibar. · To oversee WCS conservation strategy in Tanzania, embracing community-based initiatives, species, habitat and natural resource management, conservation advocacy, priority setting and land use planning, education and awareness raising, research and monitoring, training and capacity building, law enforcement support, protected area design and management, and tackling human-wildlife conflict and illegal wildlife trade. · To act as the legal representative of WCS in Tanzania. · To act as the political representative of WCS in Tanzania, liaising with (amongst others) MNRT, TAWA, TANAPA, TFS, WD, TAWIRI, TAFIRI, DFNRNR and Fisheries Departments, and bilateral donors/agencies such as USAID, USG and EU. · Represent the WCS Tanzania Program to the Governments of Tanzania and Zanzibar, donors, the press, and other internal and external stakeholders. · Overall responsibility for fundraising for WCS in Tanzania from public/private sources(in collaboration with other WCS teams in HQ. · Prepare annual country reports for the Tanzania Government, and oversee preparation of reports on projects and for donors, and evaluate on a regular basis progress against strategies and workplans. Collaborate with other WCS initiatives including but not limited to the WCS Marine Program, Species Program, and Conservation Solutions team. · Minimum of a Master’s Degree in environment, conservation, wildlife or natural resources or other relevant subject. PhD an advantage. · Proven success in 1) developing, managing and leading conservation programs, preferably in Tanzania, 2) conservation strategy, implementation and fundraising. · At least 10 years relevant work experience, with personal knowledge and experience of NGO management and issues, and field projects a distinct advantage. · Substantial experience in leading and managing teams,and large conservation projects/programs, and proven capacity in financial planning and management. · Proven fundraising experience for conservation from public and private sources, preferably in Tanzania. · Detailed knowledge of conservation biology, practical conservation, African and Tanzanian conservation issues. Scientific publication record an advantage. · Excellent planning, communications, reporting and organisational skills. · Fluent spoken and written English and Kiswahili. The deadline for applications is 15th November 2018.